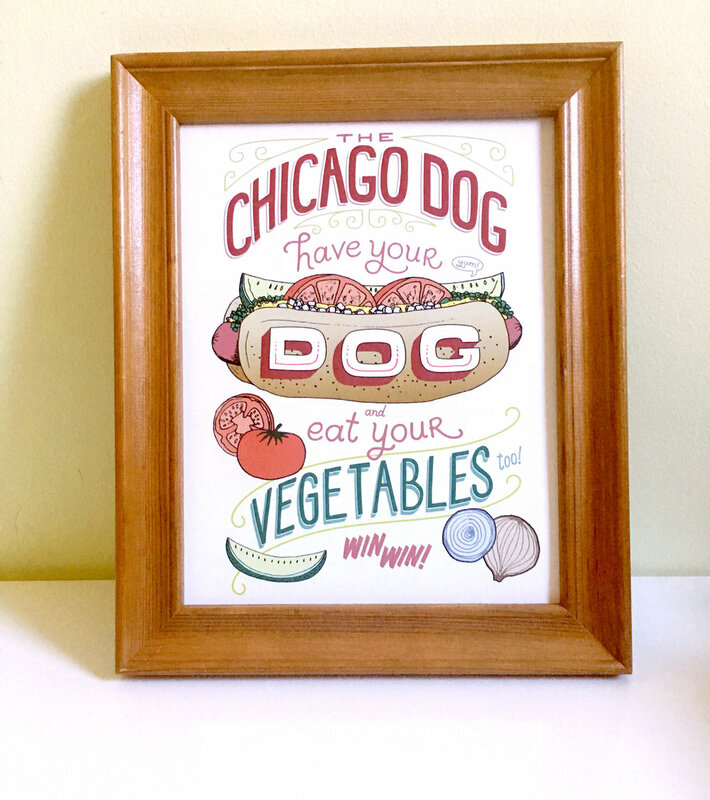 The Chicago hot dog print started as a quick pencil sketch on an airplane. 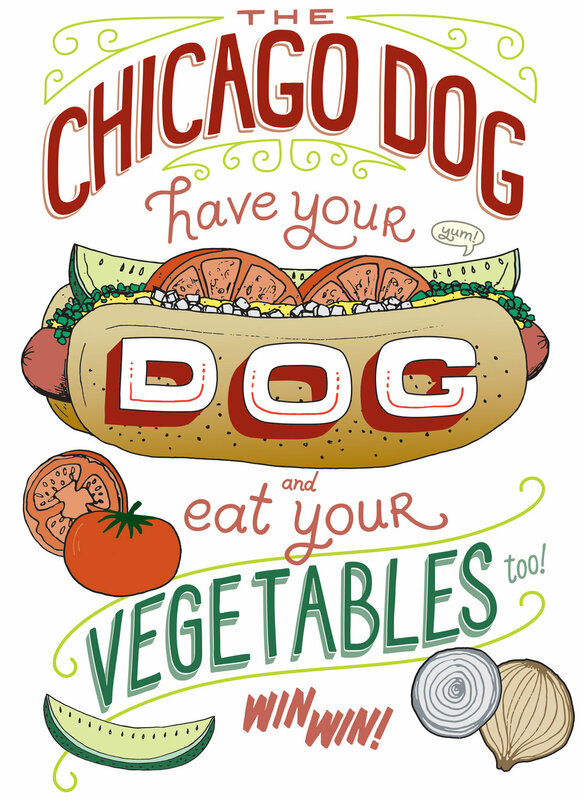 Chicago hot dogs are an institution in the city and the toppings are quite unusual—there are a lot of discussions about whether this style of hot dog with its array of toppings (including a tomato, a pickle spear and sweet relish, and no ketchup!) are good or bad, but I’m a huge fan. The sketch struck a chord, so I put together a full-fledged hand-drawn lettering piece for prints and t-shirts. From the initial pencil sketch, I refined the sketch and inked elements by hand on tracing paper, knowing that I would do clean-up and more refinement on the computer. I even attended a Chicago TypeThursday event and discussed the work to get audience feedback. I scanned in the inked items, vectorized them in Adobe Illustrator, and straightened lines and fine-tuned the letter shapes, scale, and composition, and added color as well. The end result is a fun print or t-shirt that anyone in Chicago can display, relate to, and/or argue about. Job done. Process shots… sketches, inked elements (separate to be pieced together on the computer), and screen shot of in-process Adobe Illustrator. Images of scanned in sketches and inked elements. Final image in print form, framed and ready to display!